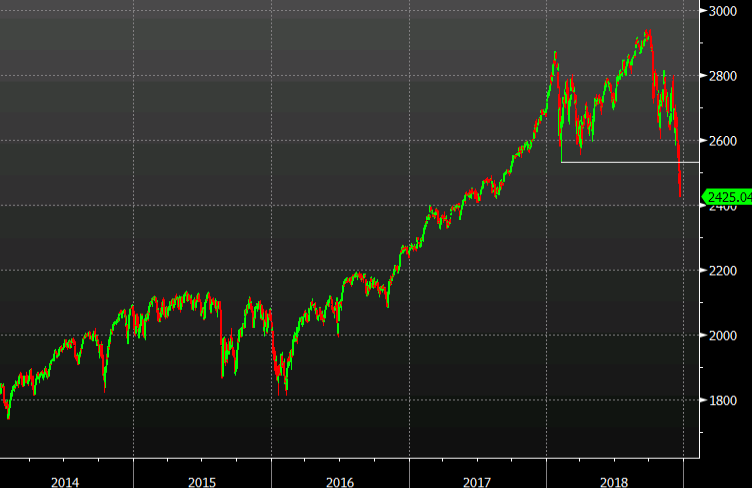 The S&P 500 is at a fresh low, down 43 points to 2432. It's quadruple witching and one of the final trading days of the year. Aside from the drop, what's impressive is that volume yesterday and today has been very high. That could be a hint that there is some forced liquidation ongoing. The index is down 12.2% month-to-date and 6.6% this week.